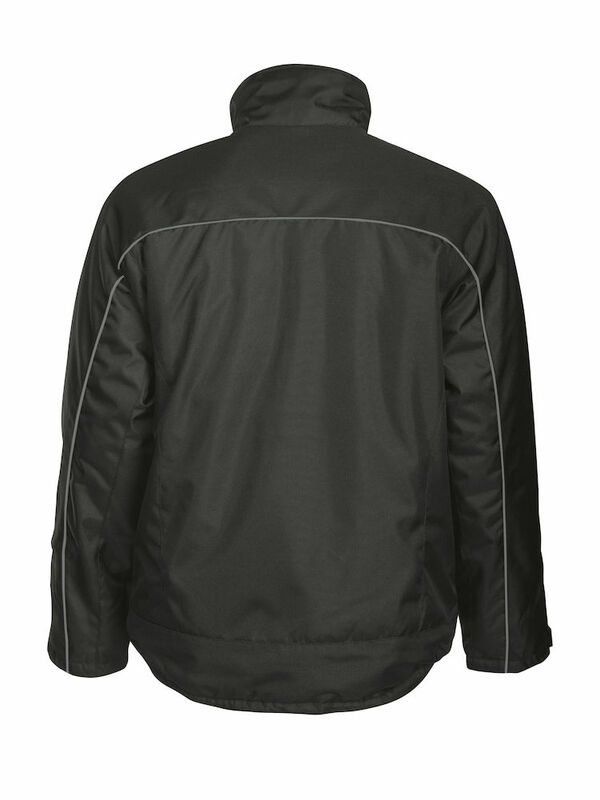 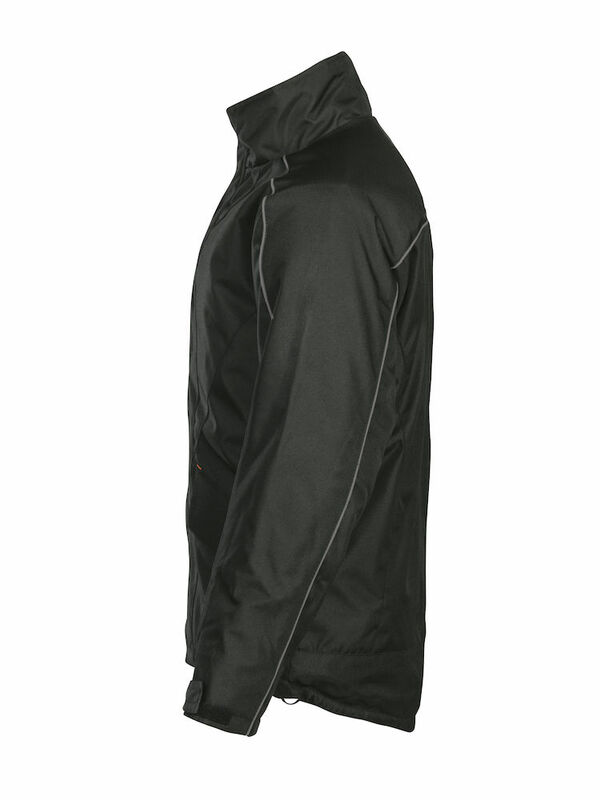 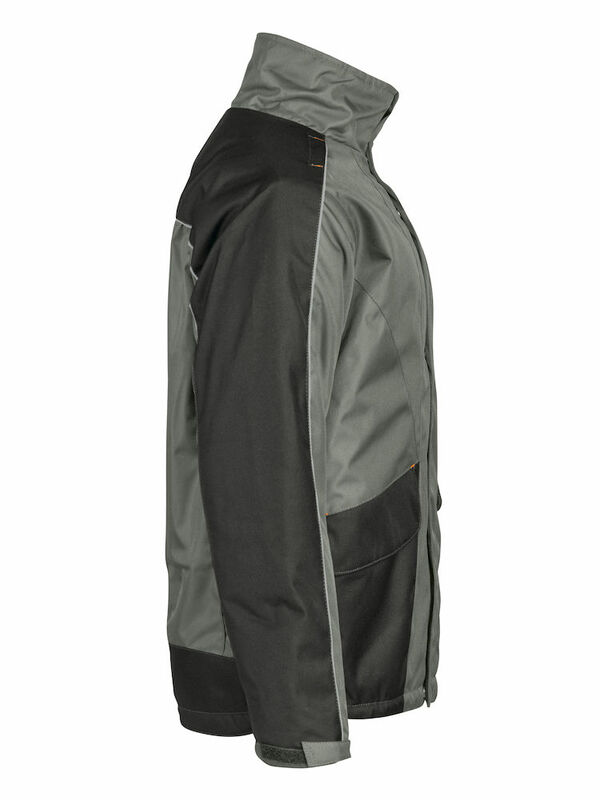 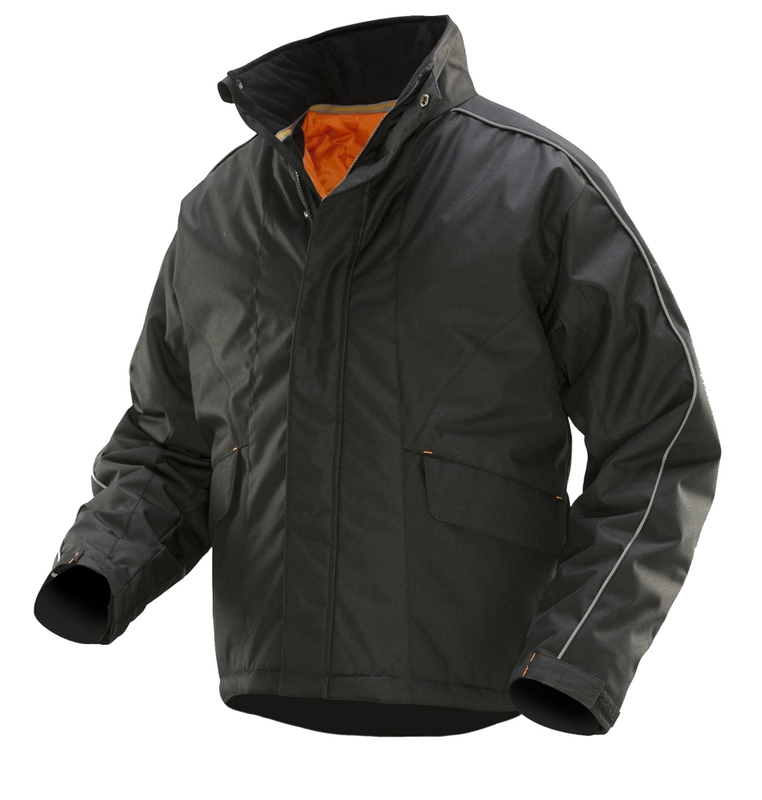 Winter jacket in durable polyester with quilted lining that provides flexibility and comfort. 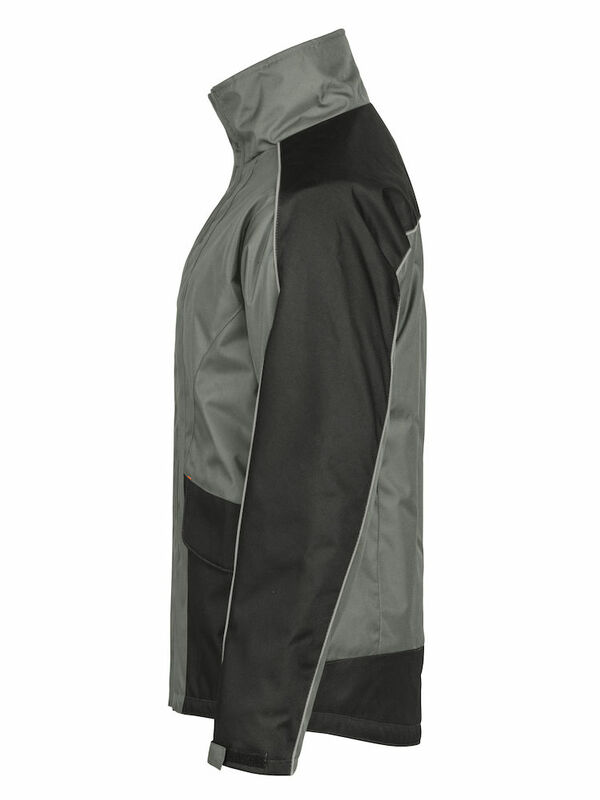 Reflective piping on shoulders and sleeves increases visibility in the dark. 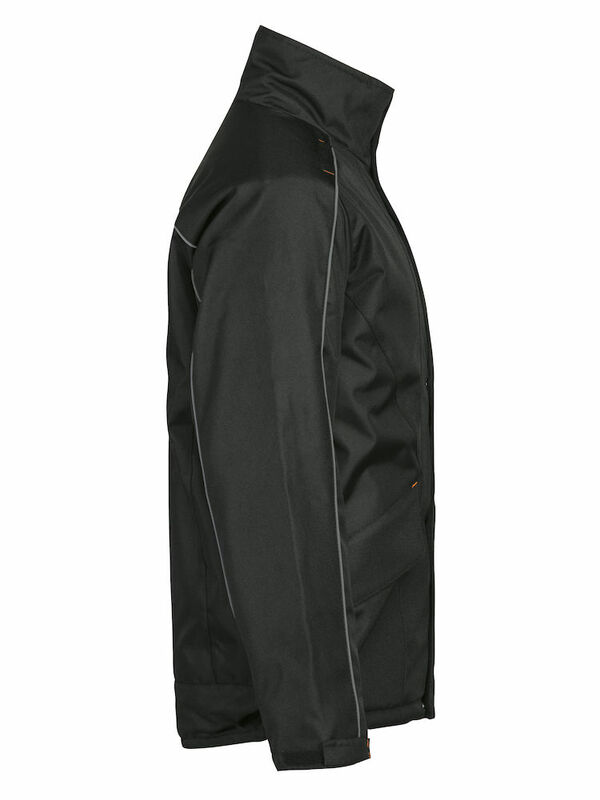 ID card slot and dual inside pockets. 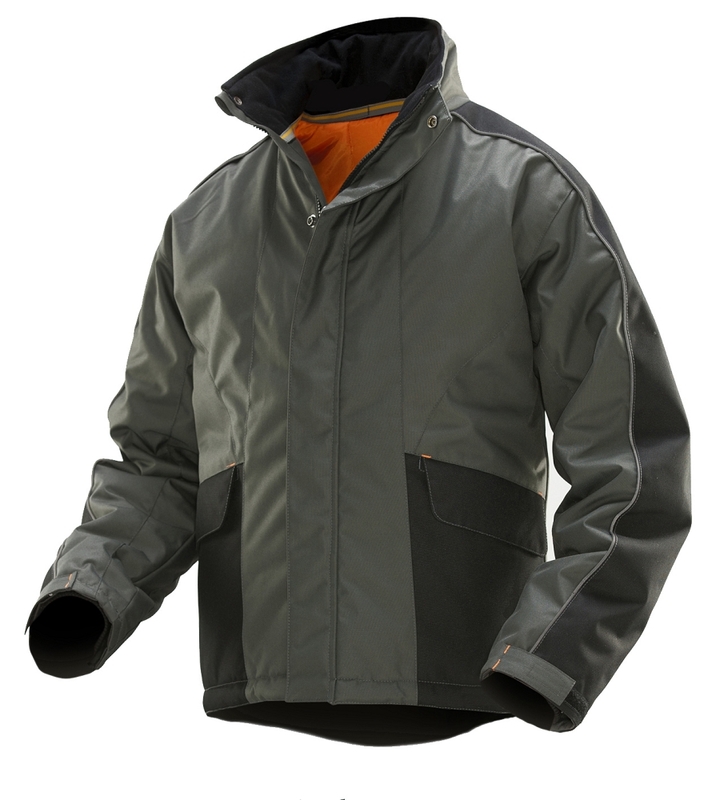 Adjustable cuffs and hem. 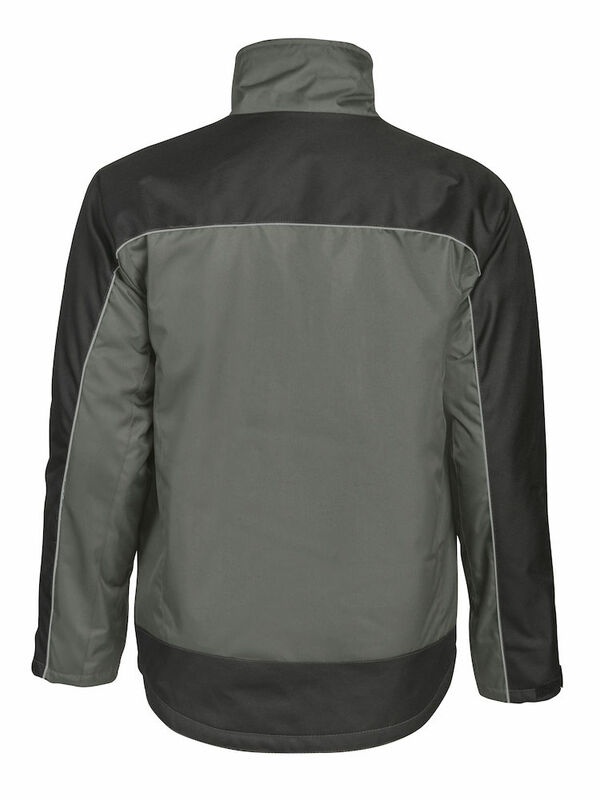 Inner lining in contrasting color.